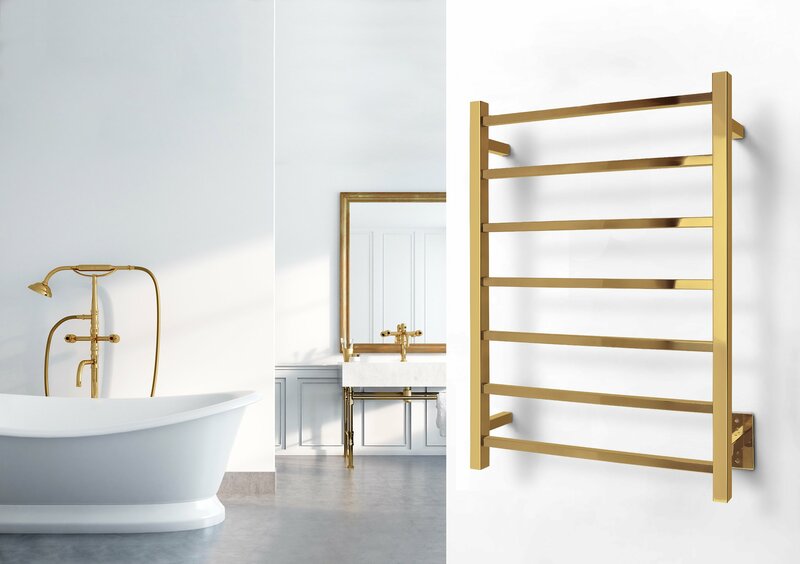 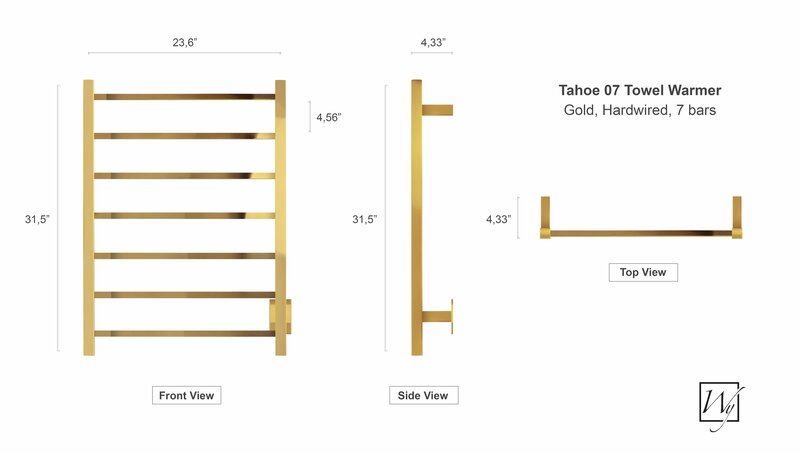 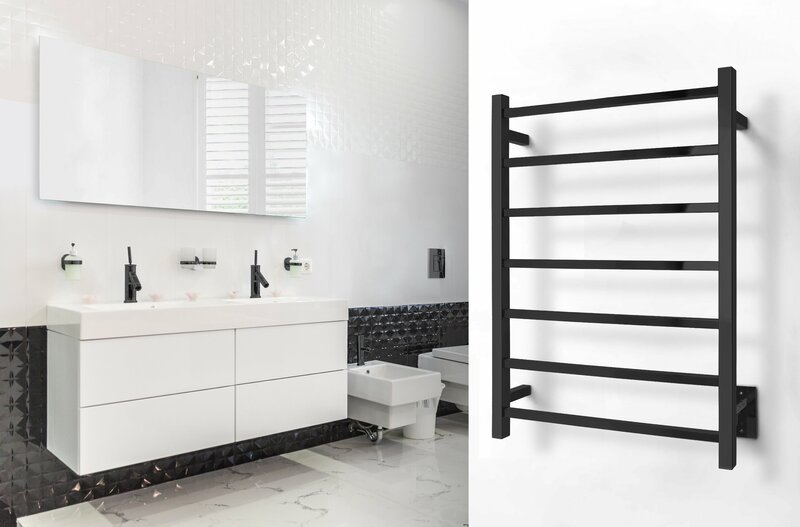 Experience a new level of luxury with the Tahoe 7 towel warmer from WarmlyYours. This wall-mounted model comes with a discrete power switch and hardwired electrical connection (110 – 120 VAC). The straight lines and square bars of the Tahoe 7 will be a perfect complement to the linear design aspects of most contemporary bathrooms. 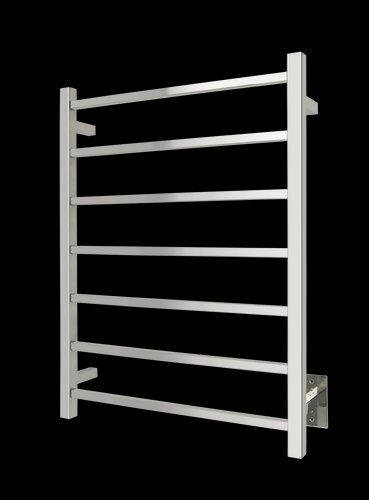 The 7 evenly spaced bars provide a heat output of 256 BTUs per hour that will ensure warm and dry towels and bathrobes. 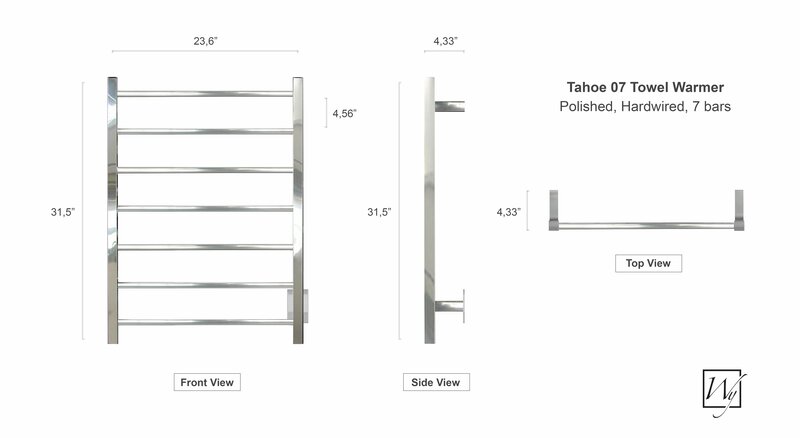 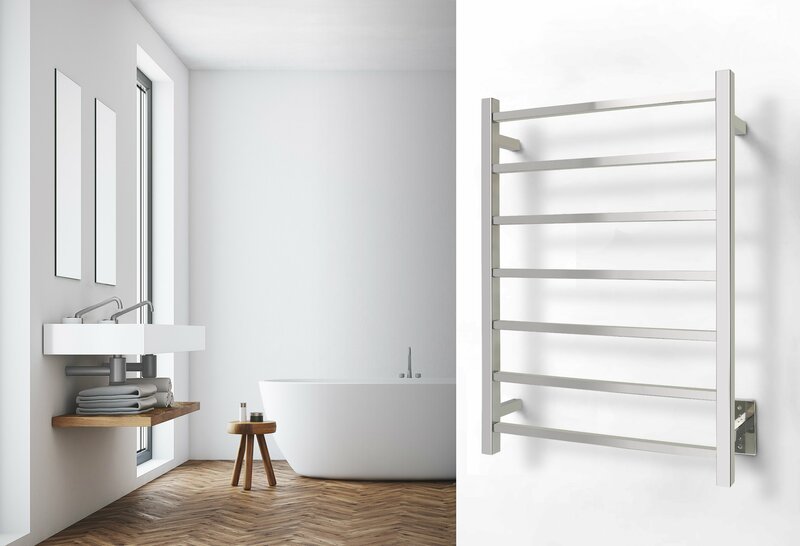 The 304-stainless steel construction and highly polished finish combine to create a visually striking towel warmer. 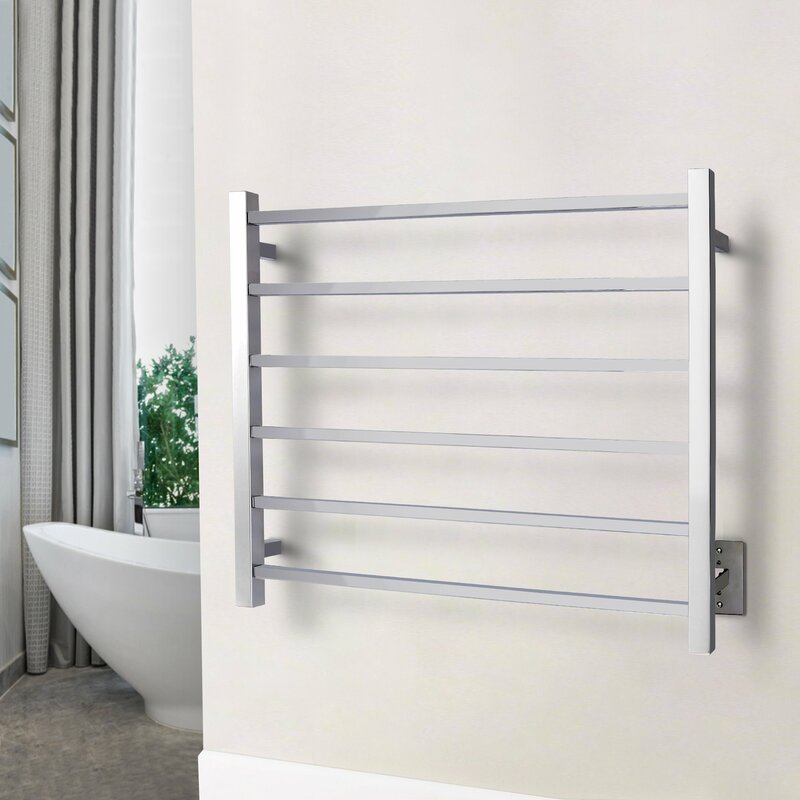 This model comes with built-in TempSmart™ overheat protection to prevent the unit’s surface temperature from exceeding 149°F (65°C).